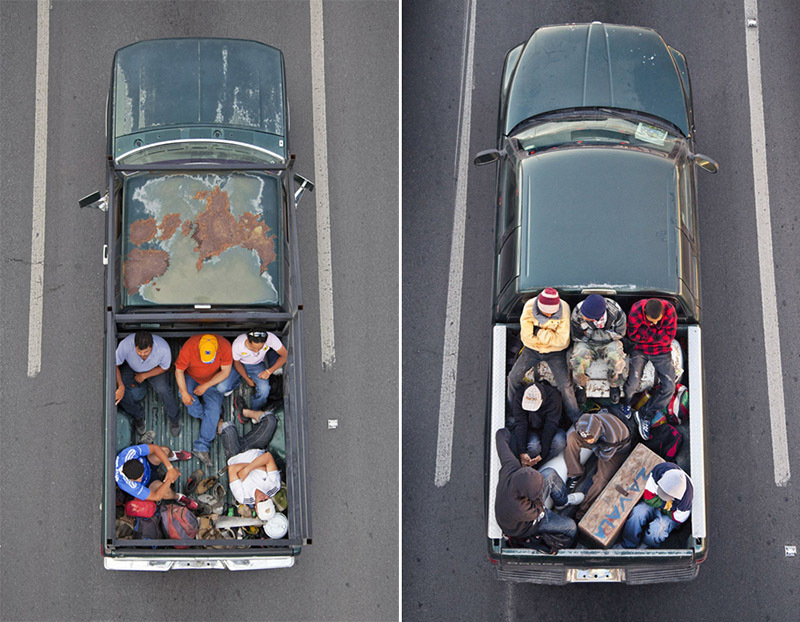 If It's Hip, It's Here (Archives): Photographer Alejandro Cartagena Captures Car Poolers In Mexico. 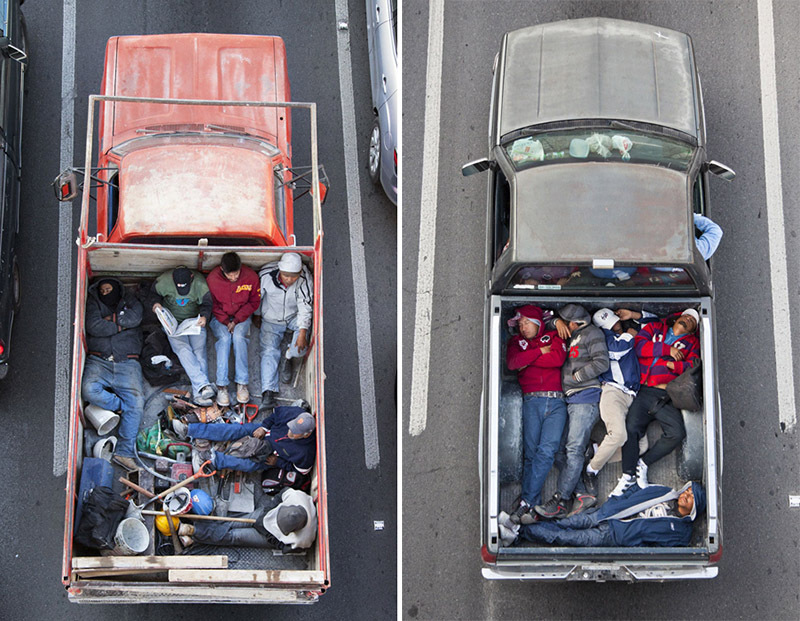 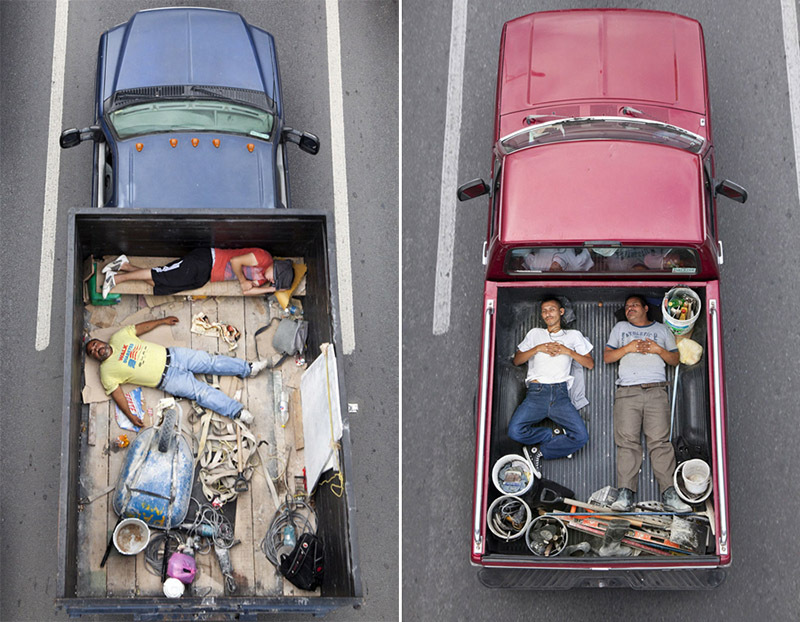 Photographer Alejandro Cartagena Captures Car Poolers In Mexico. 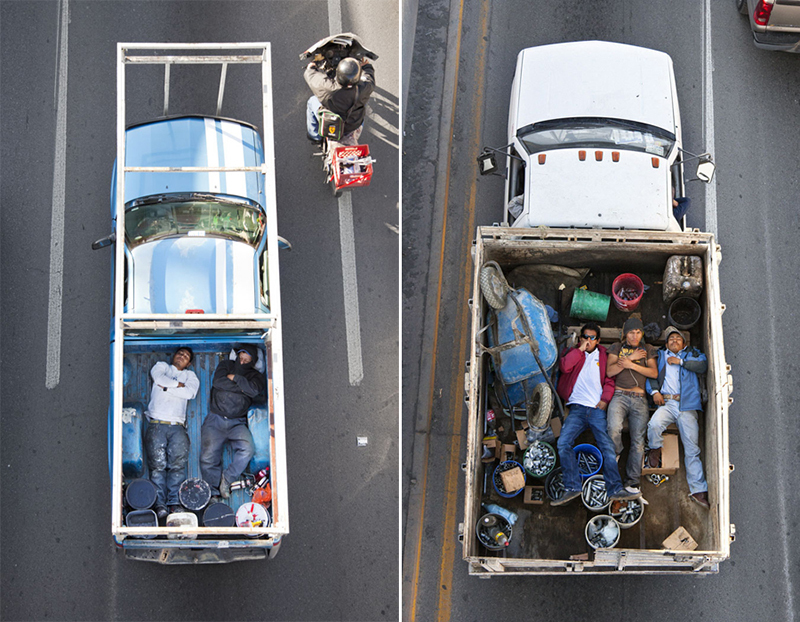 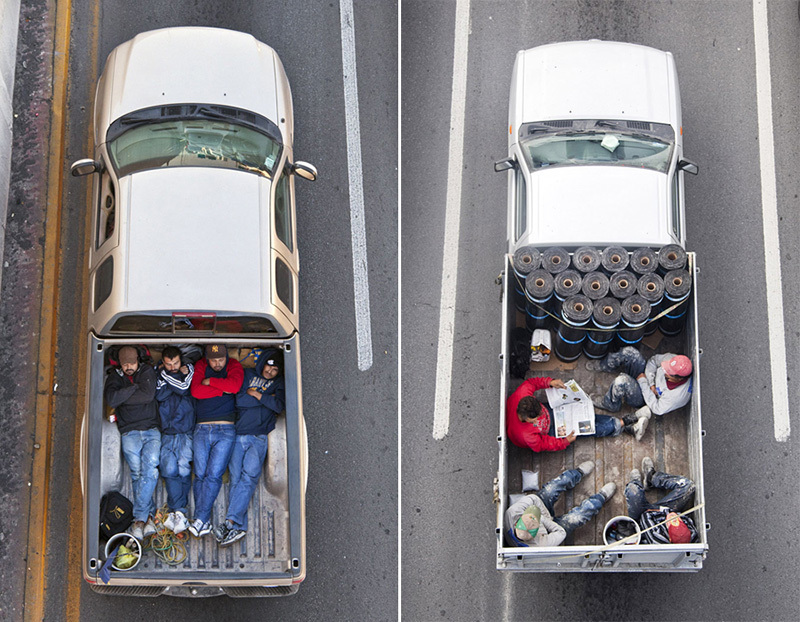 The Car Poolers in Mexico is a project by photographer Alejandro Cartagena that takes a peek into the world of flatbed trucks that carry Mexican workers to their jobs. 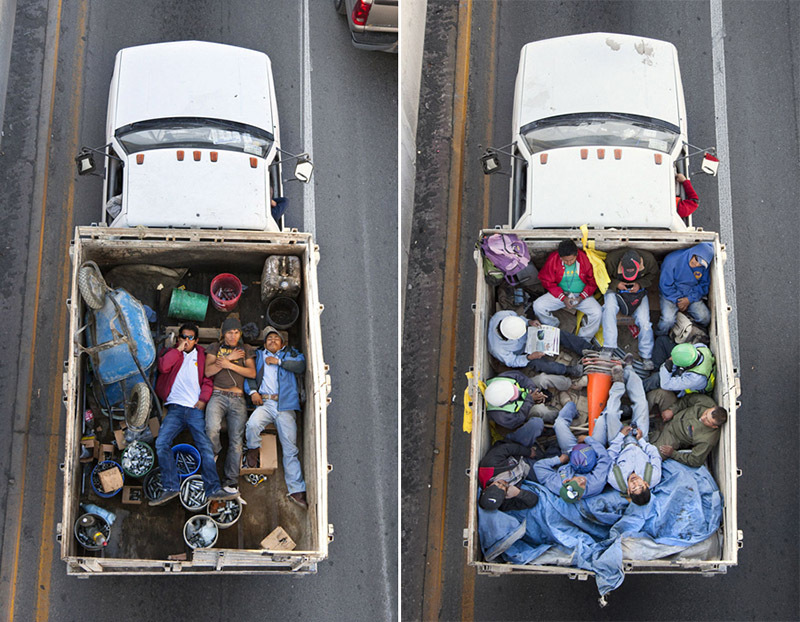 Shown last week at Kopeikin Gallery's booth at Miami Project (and earlier this summer at the Kopeikin Gallery), the photographs reveal intimate glimpses of laborers in the beds of the trucks, heading to or from the massive, low-quality housing complexes being built close to the country's border with the U.S. 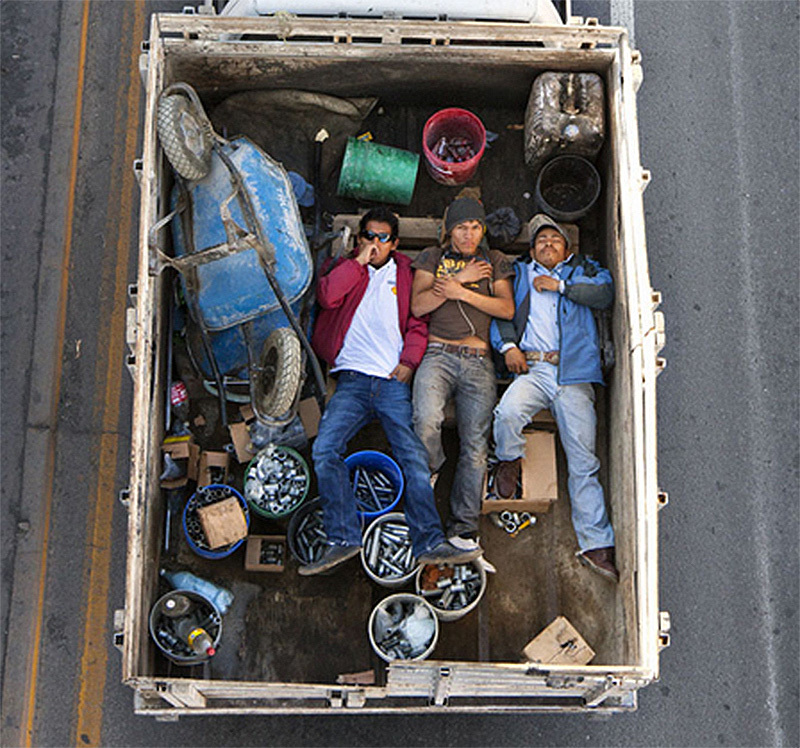 The images, most of which were taken in Monterrey, have been honored in respected photography competitions for documenting some of the more obscure details in the life of a day laborer. 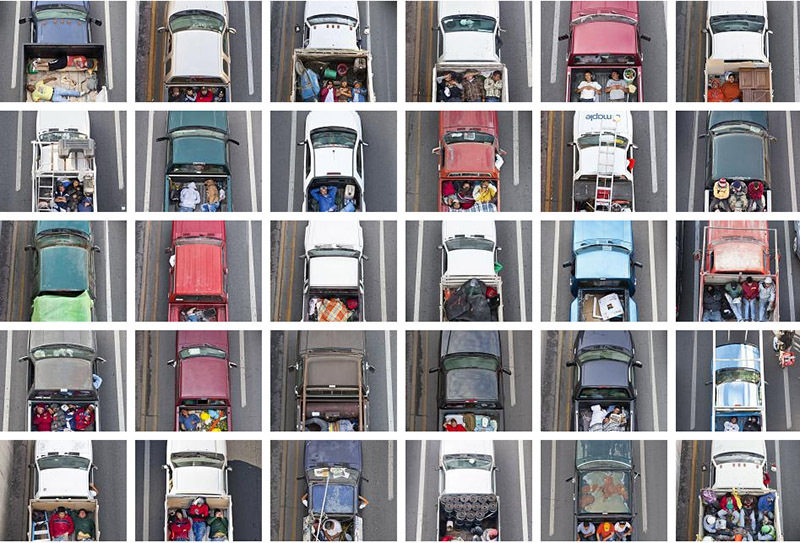 Prints on photorag cotton, paper edition of 10+4AP. 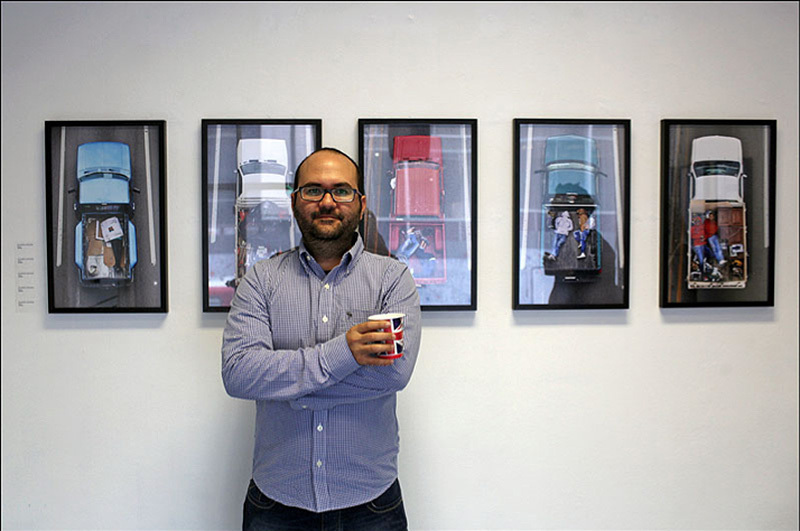 images courtesy of the photographer. 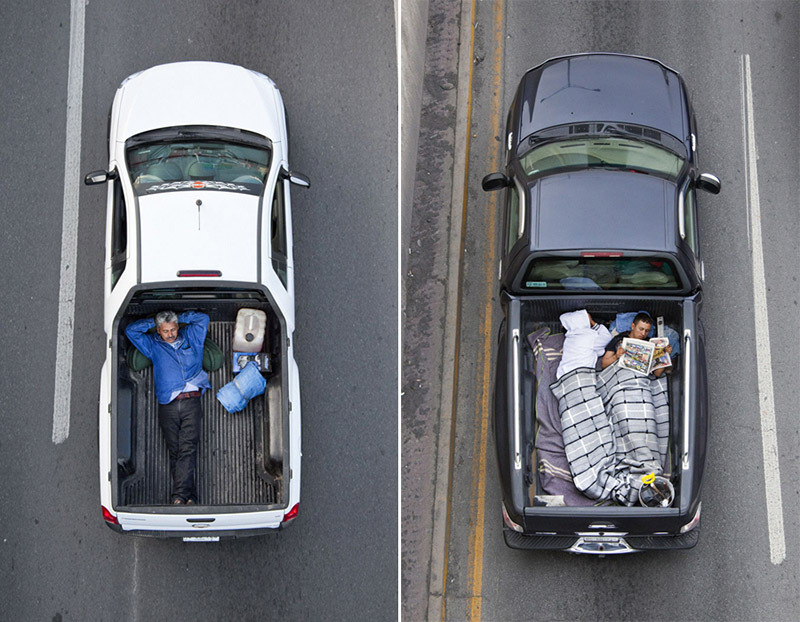 See all 30 photos from the project at Kopeikin Gallery.